Renzo has academic and professional experience in corporate social responsibility, sustainability, accountability and governance for a wide range of government, corporate and not-for-profit organisations including: The World Bank, GIZ (German Development Agency), Australian Red Cross, Tiffany Co. Foundation, Australian Super, Vale, Santander Bank, Unilever, Group Accor, Nestle and BHP. 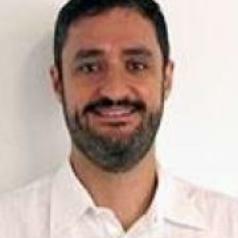 Renzo’s areas of expertise include The United Nations Sustainable Development Goals (SDGs), qualitative and quantitative research, impact evaluation, environmental and social risk assessments, sustainability reporting, stakeholder engagement and assurance and implementation of standards systems and frameworks that focus on sustainability performance. Renzo has a business and environmental science background. He holds a master degree in environmental sciences and risk management and a PhD at the Australian Centre for Sustainable Business, University of Southern Queensland. Renzo worked as a research fellow at the Centre for Social Responsibility in Mining at The University of Queensland conducting researches on different topics including: accountability, sustainability certification schemes, SDGs, stakeholder expectations, sustainable development and impact evaluation. Renzo currently holds a position within the University of Queensland as an Industry-Research Fellow. Renzo is a Senior Advisor, Sustainable Development at RMIT where he is responsible for raising awareness of the SDGs across the academic areas, as well as mapping and measuring RMIT's academic contributions to the SDGs.